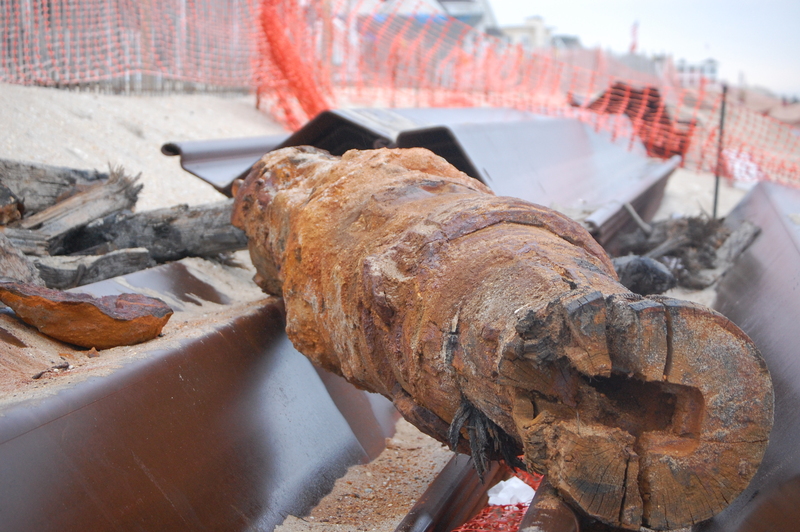 A construction crew installing the steel wall revetment along Brick Township’s oceanfront unearthed the remains of a shipwreck that may date back as far as the 1850s. 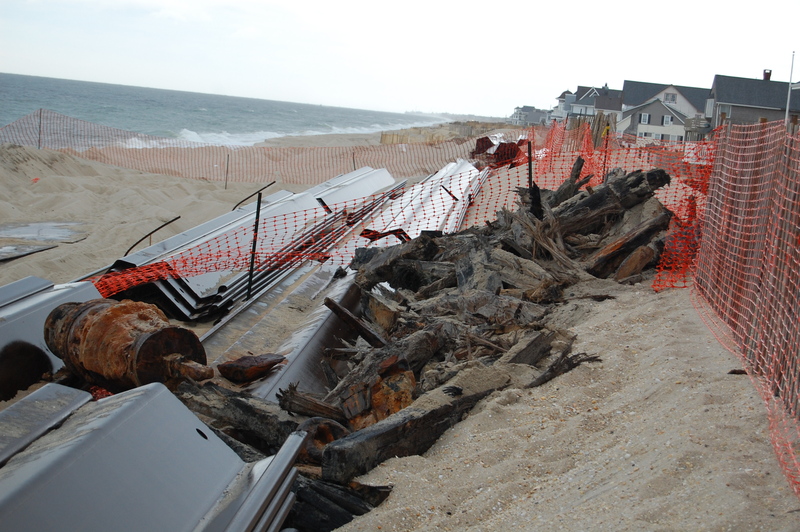 On Wednesday, the construction crew hit an object while installing one of the pieces of sheet pile that will make up the protective wall near 8th Avenue in the township’s Normandy Beach section, Mayor John Ducey said. The object was so strong that it actually broke the pile driving machine. 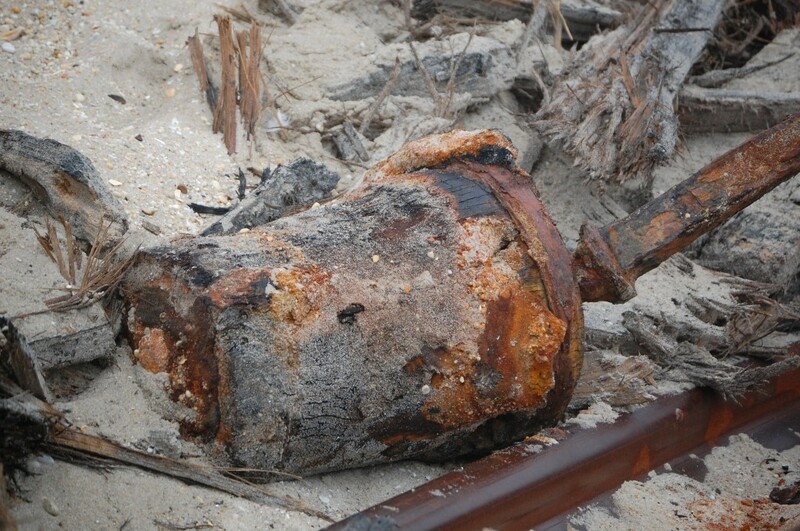 The wreck was found about 20 feet under ground, Ducey said, prompting township officials to notify the NJ Shipwreck Museum, a Monmouth County institution that is run by the New Jersey Historical Divers Association. An initial survey by the group revealed that the wreck is not believed to be a barge – which would have minimal historical value – but rather a bona fide ship or whaling vessel, likely from the 1850s. Ducey said some believe the ship could be Aysrshire, which was said to have gone down Jan. 12, 1850 around 7th Avenue in Normandy Beach. The wreck uncovered by the construction crew is situated between 7th and 8th avenues. The Aysrshire, according to New Jersey Beach Divers, a shipwreck guide book, was a Scottish Brig that was wrecked onto the beach while carrying 201 immigrants from England and Ireland. Its exact location has never been determined (potentially until now), but rescuers at the time used a lifesaving Lyle gun to haul a line over the ship’s side, then attached another line that took the passengers out in a bucket to another boat, which brought them safely to shore. Ducey said experts have told him that in the Aysrshire wreck, all but one passenger survived. 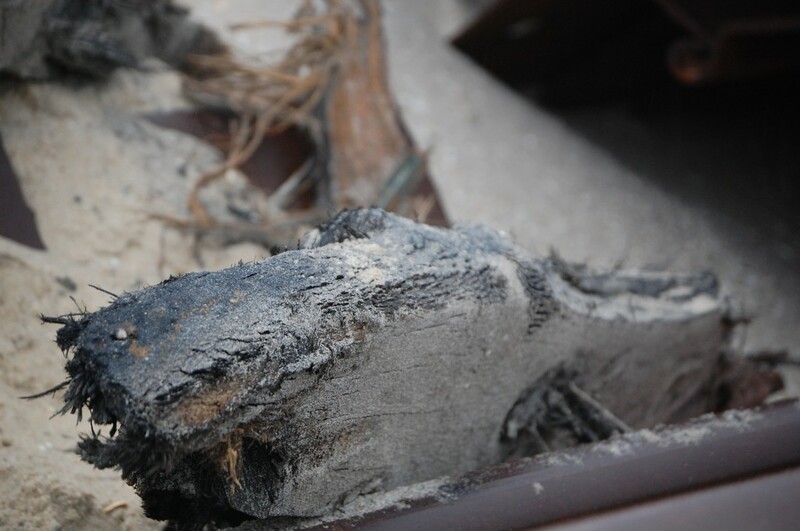 The Aysrshire would be a major historical find since the wreck represents the first time a Lyle gun was ever used in a rescue. Ducey said state officials will be surveying the site and may perform an archaeological dig. The installation of the steel wall has been temporarily suspended in the one-block area only, he said. It may also be delayed in other areas since two of the pile drivers were damaged.